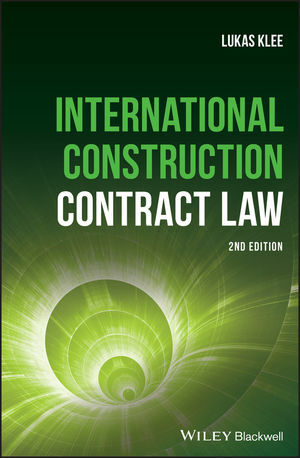 The revised second edition of International Construction Contract Law is a comprehensive book that offers an understanding of the legal and managerial aspects of large international construction projects. This practical resource presents an introduction to the global construction industry, reviews the basics of construction projects and examines the common risks inherent in construction projects. The author — an expert in international construction contracts — puts the focus on FIDIC standard forms and describes their use within various legal systems. This important text contains also a comparison of other common standard forms such as NEC, AIA and VOB, and explains how they are used in a global context. Written for consulting engineers, lawyers, clients, developers, contractors and construction managers worldwide, the second edition of International Construction Contract Law offers an essential guide to the legal and managerial aspects of large international construction projects. DR. LUKAS KLEE, LL.M, PHD, MBA is an independent expert in international construction contracts and principal at Klee Consulting, offering construction contract services, dispute resolution and bespoke training. Lukas has dealt with international construction contracts on a daily basis for over fifteen years and has participated in construction projects in the Czech Republic and internationally. Details at: www.klee-consulting.com.